Piano Launchpad is an addon to eCenter, not its competitor. How to organize your Desktop? How to sort the objects? Scheme: How to clear the desktop? First of all, move eCenter to the top of screen. Put standard applications to Piano Launchpad, activate auto-hide feature. To see the list of applications, move mouse cursor to a corner and call the Launchpad. To run an application, click it. We recommend put multimedia applications to Central Remote Control menu and switch between multimedia applications using remote control or multimedia keys. to invoke PianoPad's context menu. Then, select "Properties"
auto-hide - touch a screen corner to call Piano Launchpad. Drop Piano Launchpad to Startup folder. How many Launchpads to use? We recommend to create one Launchpad. If you want to put 50 objects on Launchpad then you don't need it, keep the programs in the folders on the desktop. To create new Launchpads use scripts from Piano distribution package. Which size of icons to select? Large icons are useful if using screen resolution is larger than 1280x. No need to peer into the icons. The size of icons depends on dimensions of the monitor. 12" LCD requires small icons, 24" LCD makes you use giant icons. If you keep 5-7 objects on the Launchpad then use large size. 64x64 is the default. How to place the Launchpad? Horizontal or vertical? You have to drop it BETWEEN two objects on the PianoPad, a black line marker will appear, if you can drop now. If you want to attach new icon, press RightMouseButton, attach new PNG icon. Use Drag&drop to shift objects. Pay attention to the behaviour of Dynamic drawers. How many objects to keep on Launchpad? Put 5-7 objects to 1 Launchpad. If you need more objects then create a drawer, put 5-7 objects to every drawer. Standard drawer contains objects which were placed to it. The contents of the dynamic drawer are updated when you open it. It is useful for drawers with documents, disks drawer, etc. You can morph a drawer to dynamic drawer via popup menu. The Start button, The Piano Launchpad play important role for corporative usage. 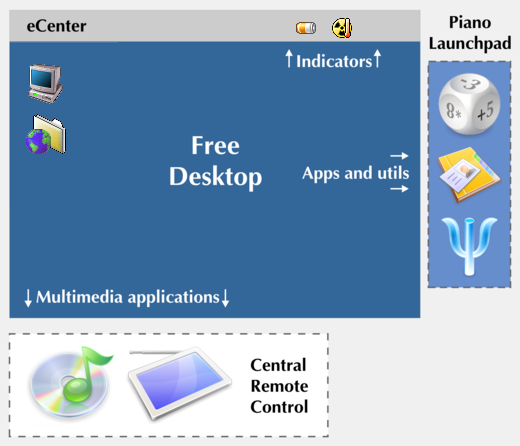 Seat an employee to eComStation PC, put the Piano Launchpad to the desktop and fill it. The employee can easily start needed applications and make work. You can prepare default Launchpad configuration one time and use it to create Launchpads on many computers in your office. Read the source code of CREATE.CMD script and follow instructions. Your employees need comfortable standard environment for every separate task. For example, an employee is working on projects: "Che", "Bura", "Shka"
Create folders "Che", "Bura", "Shka"
accumulate documents related to the 1-st project in "Che" work area, 2-nd in the "Bura", etc. You can keep in the folder source code, pdf/html documents, URL objects. put corresponding programs to the Launchpads. One set for "Che", other set for "Bura"
start/open documents and programs in every folder, don't close them. Then close all folders. Now open "Che" work area: "Che" Piano Launchpad is started. All documents which were opened in the past, are opened automatically. If close the "Che" work area then the launchpad and all opened documents/programs from this work area are closed. Now open the "Shka" work area. All documents and the launchpad are opened immediately. No need to click dosenz of files one by one. To close "Shka" work area, close the "Shka" folder. As you can see, work area feature is useful in cases when the employee should quickly switch between different sets of documents of different nature. No need to start/open files one by one. 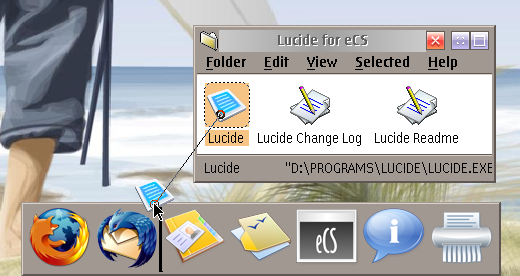 Piano Launchpad opens the door for large resizable icons on eComStation desktop. Large icons means new redesigned icons. We do not plan implement animations. We should keep the spartan interface. 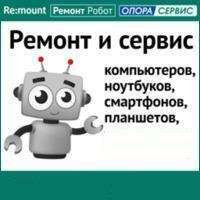 Our goal is increase the productivity of users. Panorama VESA - быстрый видеодрайвер для многопроцессорных компьютеров. Good to see Workarea usage promoted - finally! I've always loved it, since it was introduced. One of the many, many features of OS/2-eCS that just doesn't exist ANYWHERE else! Any chance you can make the background transparent? No transparency It doesn't increase usability. Transparency does increase the coolness factor. It would significantly differentiate Piano from OD's tab launchpad and the toolbar. The OS/2-eCS desktop really needs a push into the future and I think this is part of it, but it needs to look contemporary and the Mac OSX dock sets the bar in that regard. I agree with you that transparency does not increase usability but I believe animations would do if they can be used as status indicators. 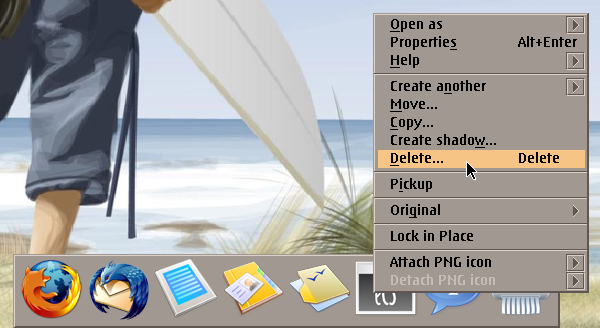 To generate automatically a drawer if an application has been started and opens more windows would be fantastic as it helps to manage programmes like Firefox..
Sure an actual snapshot of the window to be shown as a large thumbnail instead of a standard symbol whenever you move the pointer over a symbol in such a drawer would top it. As most people will still know OS/2 has a launchpad since version 3. And with some REXX scripting you can get it to appear in more than one instance and also changing the content of it. It used also only shadows of objects and with this one error is know, it does not delete the shadow if the original object has been deleted. The options of its appearance were always satisfying my needs. Прокомментируйте эту статью (напоминаем, автор работал над текстом несколько недель, уважайте мнение других).